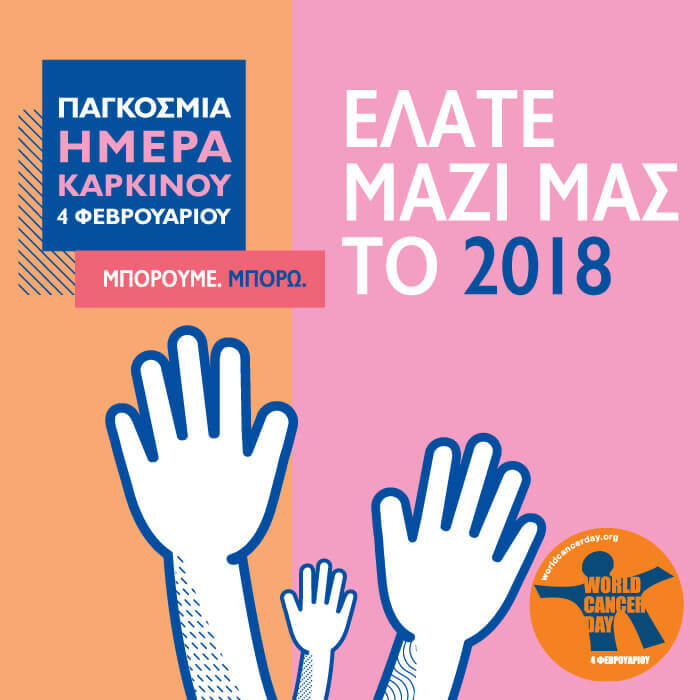 World Cancer Day, 4 February 2018. We can. I Can. We can prevent cancer. I can make healthy lifestyle choices. We can inspire action, take action. I can love and be loved. We can improve cancer care. I can ask for support. Join us on 4 February at The Mall of Cyprus, Entrance 1.